The Defense Advanced Research Projects Agency (DARPA) is always on the edge when dealing with technology and innovations. As DARPA is a military organisation, they test a lot of products which can improve the physical and mental performance of the army. The scientists of DARPA have now found a drug that eliminates sleepiness of a key brain hormone. The drug, a naturally occurring brain hormone orexin A, has worked well in lab experiments, with no apparent side effects. Monkeys, suffering from sleep deprivation, were treated with the substance and were subsequently able to perform like well-rested monkeys on cognitive tests. The results are promissing for keeping soldiers awake and alert during battle, but it can also be used for those suffering from narcolepsy. And even those with less severe sleep disorders may be interested. In the study, monkeys were deprived of sleep for 30 to 36 hours and then given either orexin A or a saline placebo before taking standard cognitive tests. The monkeys given orexin A in a nasal spray scored about the same as alert monkeys, while the saline-control group was severely impaired. The study, published in the Dec. 26 edition of The Journal of Neuroscience, found orexin A not only restored monkeys’ cognitive abilities but made their brains look “awake” in PET scans, as well. What makes orexin A also unique, is that it only had an impact on sleepy monkeys, not alert ones, and that it is “specific in reversing the effects of sleepiness” without other impacts on the brain. The researchers discoverd that the absence of orexin A appears to cause narcolepsy. 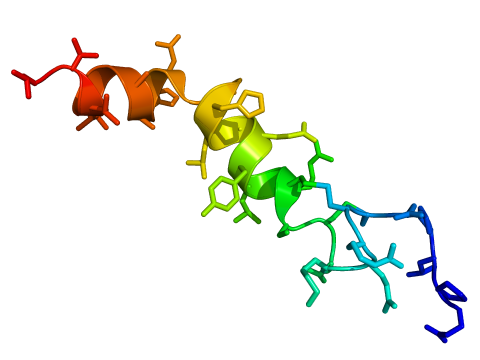 That finding pointed to a major role for the peptide’s absence in causing sleepiness. It stood to reason that if the deficit of orexin A makes people sleepy, adding it back into the brain would reduce the effects. It is not completly known, what the effects are of not getting enough sleep. New research indicates that it could be associated with increased risk of cardiovascular disease and metabolic disorders.